A few random things plus food today to discuss! The older I get, the more affected I am by the sunlight — or lack thereof is really what this is about. We NEED to change the clocks already. Otherwise, I just cannot bounce out of bed early in the morning. Dark mornings are the worst! My friend Lisa and I usually speak on the phone early in the AM while drinking our coffee before the kids are up BUT we are missing those phone calls as of late because we are both still sleeping. Even when I do get up, I don’t want to get up. The dreary days we have been having aren’t helping either. I don’t think we’ve had a day with sunlight since last week! 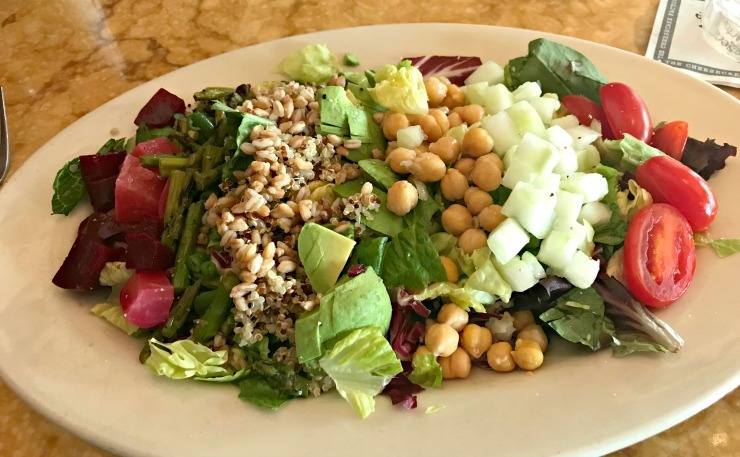 Here’s the Vegan Cobb salad from The Cheesecake Factory to place something positive in today’s post. Sometimes I do order this salad instead of my usual salad and I really enjoyed it the other day for a change! I like the vinaigrette type of dressing that it comes with and the quinoa/farro mixture gives the perfect added texture. 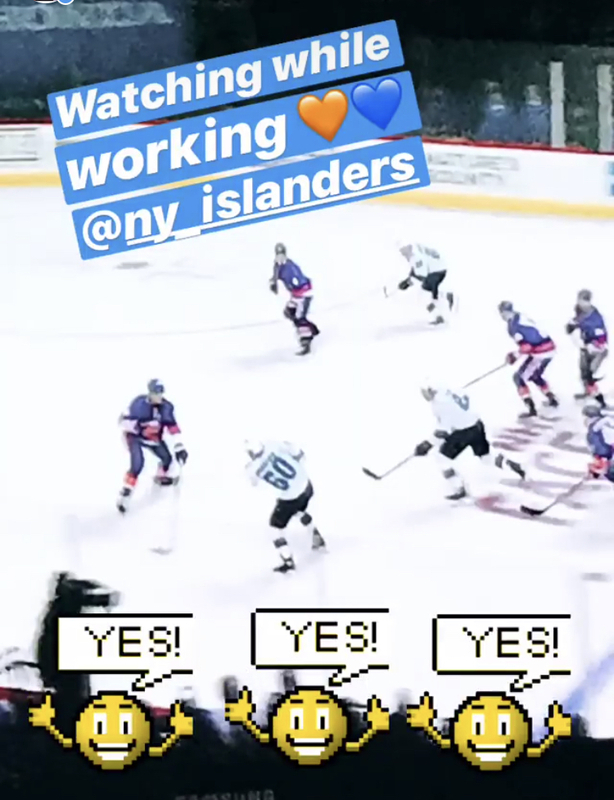 I let my son go to an Islanders game with a friend for the first time alone. This wouldn’t be a big deal if the games were solely at the Coliseum but games in Brooklyn are another story! However, I decided he was old enough to go and he would be fine. He went to the Columbus Day game on Monday by train with a friend and I watched the game from home while working. He knew exactly where he was going once off the train as we have done the train to Barclays Center many times. It was day time. He was with his friend, and the rest of the fans taking the train to the game. Plus he has a phone, traveled across the country on a teen tour this past summer without me, and he’s 6 ft tall. As I write this, I’m not fully seeing why I insist on going anywhere with him anymore. 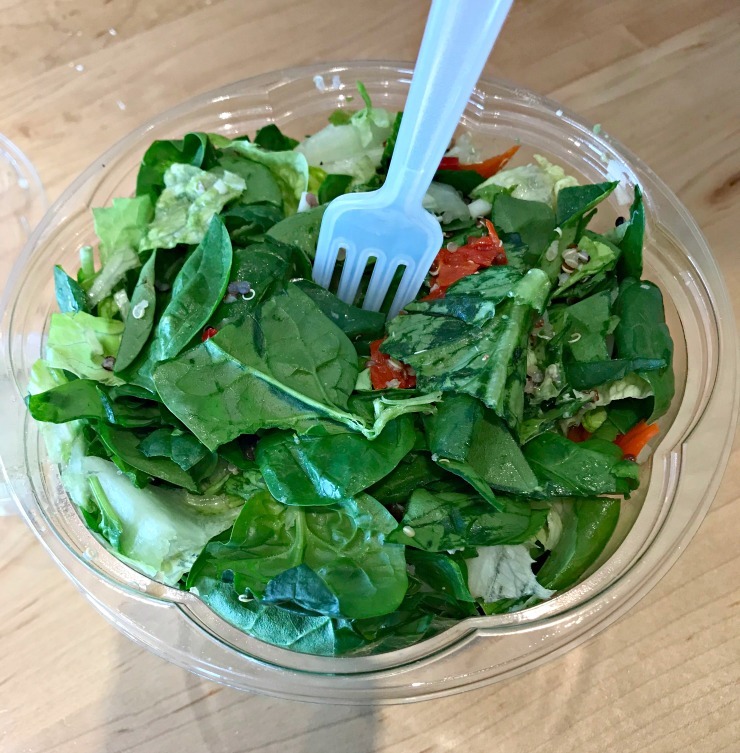 Why don’t my salads from Chopt ever photograph well? Looks like a pile of lettuce and spinach but it actually includes avocado, quinoa, spicy peppers, charred onions, hearts of palm, and spicy tahini dressing. Trader Joe’s brought back their julienned root vegetables to the frozen section and added something new too! 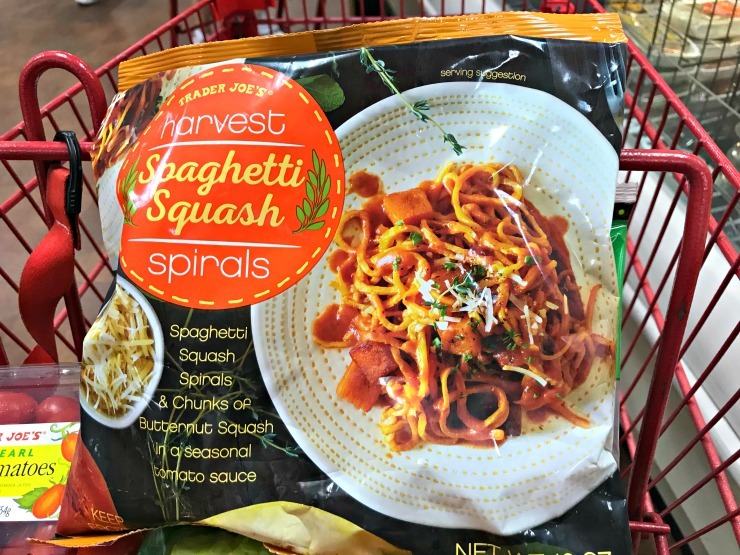 Has anyone tried the new harvest spaghetti squash spirals? I bought a bag yesterday and will report back when I try it! Seems to involve butternut squash in a tomato sauce. I’m not a huge squash fan and definitely don’t cut one up to cook myself anymore but I do like when I see mixes like this, especially at Trader Joe’s. Worth a shot, you know? Is the late sunrise affecting you too lately? Have you tried anything new from Trader Joe’s recently? Ever have the vegan Cobb salad from The Cheesecake Factory? The late sunrise is killing me!! Although I can’t decide if I’m ready for it to be dark at 4 pm either. I’m not a huge fan of squash either, although I have like five on my kitchen counter right now. Oh the joys of a CSA. Sigh. Go momma and Benji on a big milestone. You guys are knocking them out of the park.